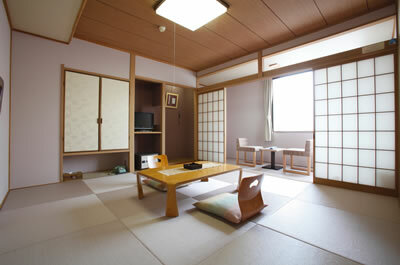 ・This room was renovated into a Japanese modern room on August 2009. 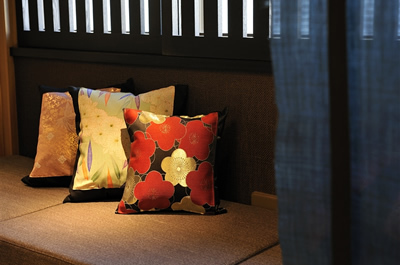 Surrounded by Japanese traditional decoration and can relax as time goes. 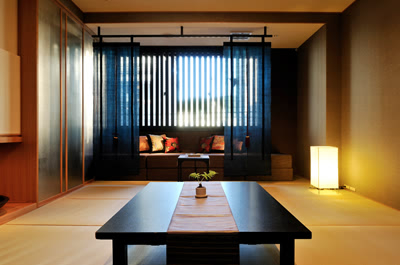 The tatami, the shoji (paper sliding door) and the bed gives out a tranquil and calm atmosphere. 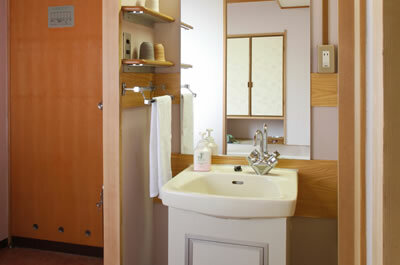 A standard room. 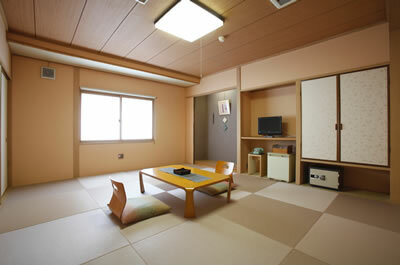 We only have 2 rooms with the size of '8 tatami mats＋balcony. ' 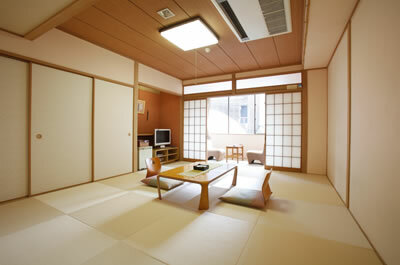 These rooms are popular to women because we use pink tatami mats. There are 3 rooms in total. 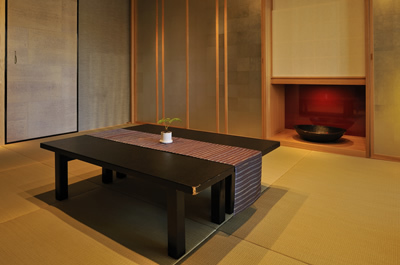 We have not used glamorous decorations, but focused on simplicity. A very simple standard room. 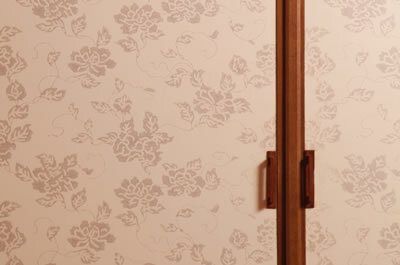 One of Kyoto's traditional industries 'Kyoto Karakami' (colorful paper) is used for the closet. 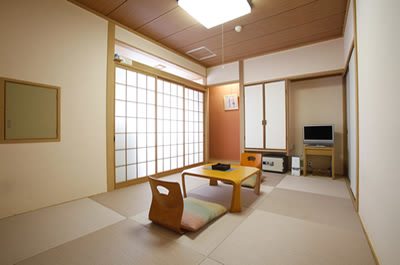 There are 2 rooms in total, we use pink tatami mats and also one of Kyoto's traditional industries 'Kyoto Karakami' (colorful paper) is used for the closet. 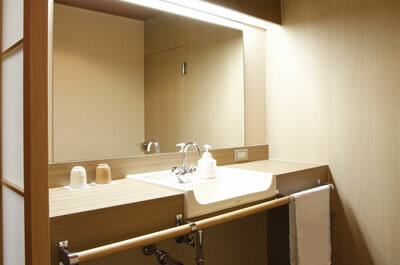 It is a small room, but we have many secret admirers for this room. 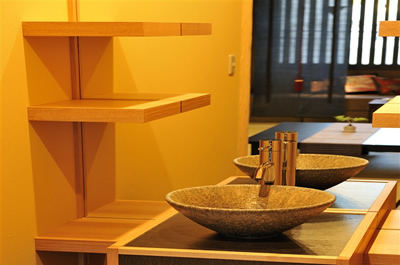 ※These are placed at the public baths. Public Baths for men and women. 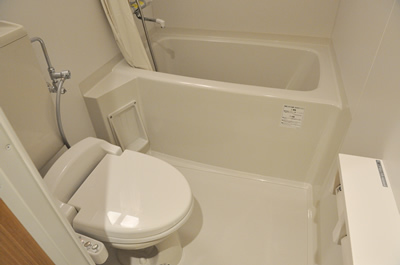 Each maximum capacity is 20 people. We renovated the baths on May 2007. 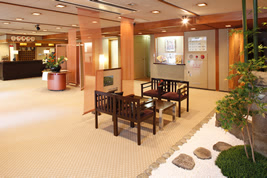 In the spacious lobby, there will be a flowers in the middle to welcome you. Our product of 'Japanese green tea rice seasoning with sardines' from our brand 'Shinsui' has been on 'Brutus' magazine. We can divide this room into 4 parts. 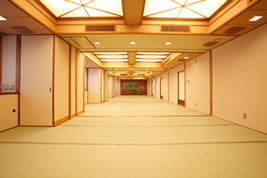 This room can be used for a big hall for lunch and a banquet hall at dinner hours. We will prepare breakfast for you. 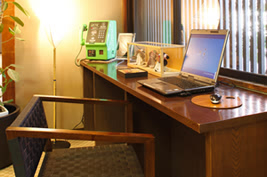 IYou can find computers with internet access on the first floor. 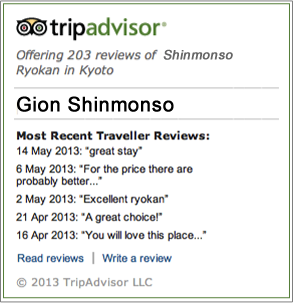 You can use it freely, for example to search your tour for the next day. 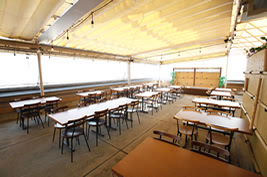 Our roof is used as a public space and during July and August, we open it as a beer garden. During April to June and September to October it is in open use for events and entertainments. Maximum capacity is 60 people.